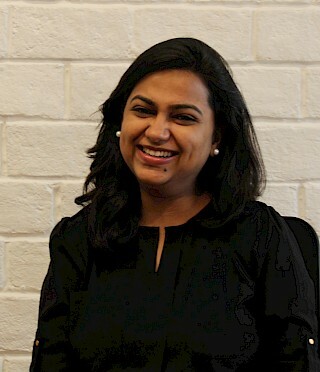 Neha Sinha is Assistant Director and Associate Fellow at IDFC Institute. In addition to her management responsibilities, she leads research on criminal justice with a focus on policing. Prior to joining IDFC Institute, Neha worked as an Economist with national level commodity derivatives exchanges in Mumbai where her primary role was policy advocacy aimed at market development, macroeconomic research and support to awareness initiatives. Earlier, she has worked with JPMorgan’s Investment Bank-Collateral Risk in Mumbai. Her other areas of work include livelihood analysis of a nomadic tribe from a national park in Uttarakhand to gauge resource accessibility of the rehabilitated community at relocation sites. Neha also briefly participated in conducting a case study on social cost and benefit of Delhi Metro at the Institute of Economic Growth, Delhi. She has co-authored a research paper on commodity index development, published in a peer reviewed journal. Neha holds a Master of Arts degree in Economics from Gokhale Institute of Politics and Economics, Pune and a Bachelor of Arts degree in Economics from Lady Shri Ram College for Women, University of Delhi. The release of DAKSH's Report on 'Approaches to Justice in India' at the 6th Constitution Day Lecture: 'The Right to Privacy in a Digital Age' by Arvind Datar (Senior Advocate). This article on crime and safety in India looks at households’ perceptions of safety in the four cities and behavioural changes they may have adopted to keep themselves safe. Only 6-8% of victims of theft in four major Indian cities lodged a first information report (FIR) with the police, according to a new study. The remaining 92-94% are not reflected in any official record. Robert Peel laid the foundation for future police forces way back in 1829, which continues to guide them even now. Making a case for evidence-based policing.